The Oakland Museum of California is unveiling its new Gallery of California Natural Sciences on Friday after three years, and an $11.4 million makeover. The gallery spans California's habitats, from the depths of the Pacific Ocean, to the top of the Sierra Nevada Mountains. The first part of the gallery is dedicated to Oakland itself, beginning with photos of the oak woodland that used to blanket the area. "You can actually hear people say out loud, 'Oh, Oak-land, I get it,'" says Douglas Long, senior curator of natural sciences. 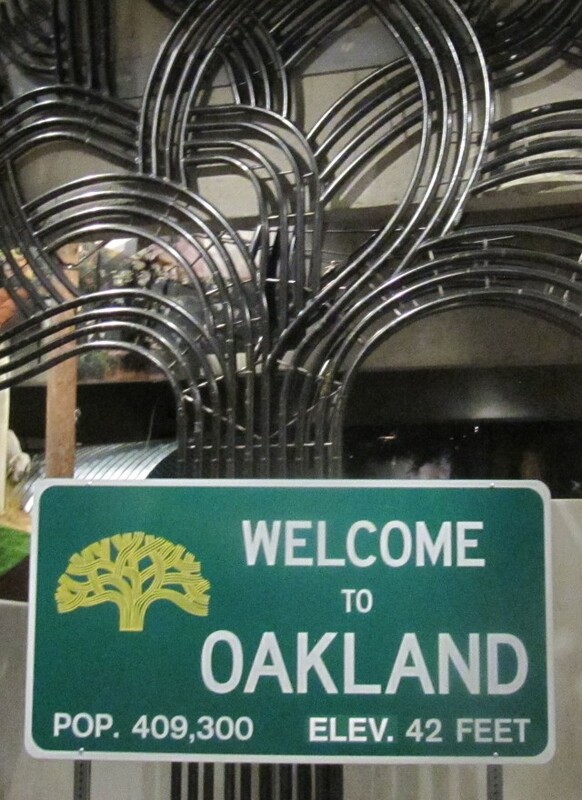 "(Oakland) is this urban-wild interface. Animals adapting to human landscapes; human landscapes overlain on what were previously wild habitats." The museum held onto the taxidermy and dioramas from its old gallery, but there's no musty feel here; they're integrated into the new exhibits, along with videos and soundscapes, interactive maps, a fish tank-full of native fish and a replica lava tube for the non-claustrophobic to wriggle through. 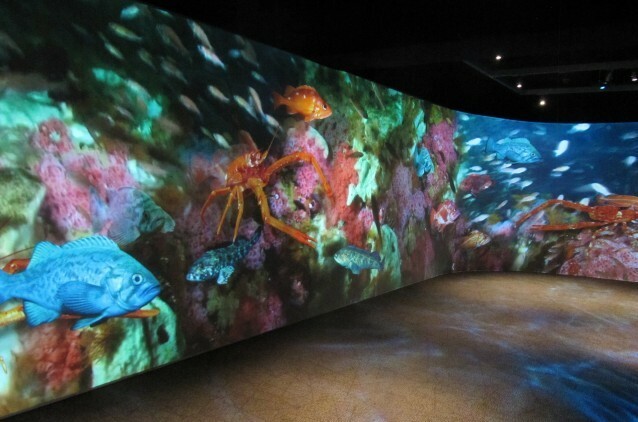 An immersive video wraps around a room, giving museum visitors a feel for the swirling flora and fauna that live in Cordell Bank National Marine Sanctuary, one of seven locations featured in the gallery. The museum takes advantage of its art and history collections, too. 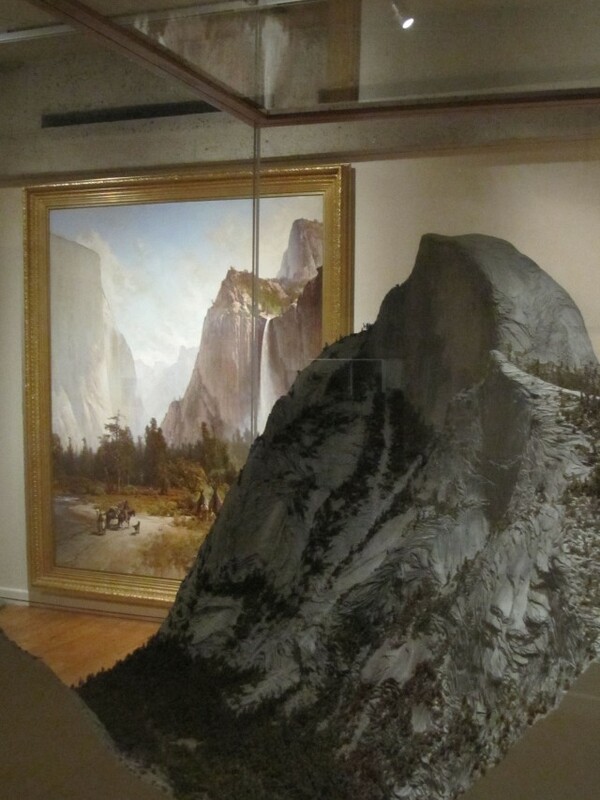 Paintings of Yosemite hang near a model of Half Dome. "You can't tell a story from one perspective," says Long. "It's basically nature that has provided for California's economic wealth. And you really can't tell a story about nature without bringing in the history." The gallery goes beyond the history, tying in art, politics, climate change and conservation. The Gallery of California Natural Sciences opens Friday at 7:00 pm, and stays open with live music, food trucks, and a screening of the Oakland Internet Cat Video Festival until midnight.